The Sacramento Kings resident WWE expert and Game Night Host Scott Freshour previews Sunday’s WWE No Mercy at Golden 1 Center. It’s a special time in Sacramento. The city is changing, growing, and developing. Last week, when Golden 1 Center opened its doors to Paul McCartney, it officially ushered in a new energy and a new era to Sacramento. Following a similar parallel, a new era has also begun in the WWE. A few months ago, the WWE ushered in their new era with an influx of new talent, a new energy, and a talent draft that divided the rosters into two distinct shows; “Raw” and “SmackDown Live.” This weekend, the SmackDown Live brand invades a newly minted Golden 1 Center, as they present the PPV event “NO MERCY”. 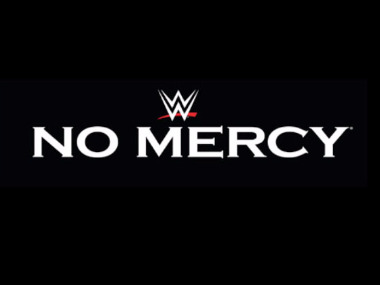 Wrestling fans in Sacramento are in for a real treat, as No Mercy features several high profile matches. On Sunday night battles will be fought, titles will be won, and rivalries will reach very personal levels. One of the most anticipated matches will take place between “The Viper” Randy Orton and the mysterious Bray Wyatt. After a few months of psychological and physical battles, these two men will finally get their one on one match. For Orton, this clash is personal as he looks to bounce back from a disappointing bout with WWE Superstar Brock Lesnar. Orton, the fan favorite, will go to the limit to take down the evil Bray Wyatt on the international stage. The culmination of the personal rivalry between the intercontinental champion, The Miz and his challenger Dolph Ziggler comes to a head on Sunday night. Over the past few months, Ziggler’s career has hit a tailspin as he continues to lose important matches. The pressure of not being able to win the ‘big one’ combined with the overconfident and egocentric Miz’s trash talk, has prompted Dolph to put his “career on the line” in this match for the Intercontinental Championship. The stakes are high, if Dolph wins, he is the new Intercontinental Champion, if he loses, he must retire from the wrestling all together. This match could steal the show, as Dolph and Miz are both in the prime of their careers. The clash will be emotional, aggressive, and could be the fight of the night. The main event of the evening will be an outright battle, as the WWE Championship is defended in a triple threat match between the current champion AJ Styles and Dean Ambrose and John Cena. Last month AJ Styles defeated Dean Ambrose by cheating to win the WWE Championship. Add a returning John Cena into the mix - who is looking to win his 16th WWE Championship (tying the record) - and you have a formula for a combustible title bout. In typical WWE fashion, anything can happen. No matter what happens at No Mercy, everyone wins. Wrestling Fans and the city of Sacramento. To learn more about WWE No Mercy, click here.